Fun and formal" is the motto of the owner, Kristina Knapic who bought and refurbished the sprawling Acacia Mansion in 2004. Nestled in the center of the Ojai Valley on what used to be hundreds of acres of orange groves is now a walled Estate close to Downtown Ojai.The Acacia Mansion is also available year round for weddings and special events, contact us for pricing. We are a full service event location. From beginning to end staying at the Acacia Mansion was beyond our expectations. The place has character, charm and little mystery! My group of 16 friends and family who traveled far and near for a NY...read more. Our fabulous Acacia Mansion wedding. 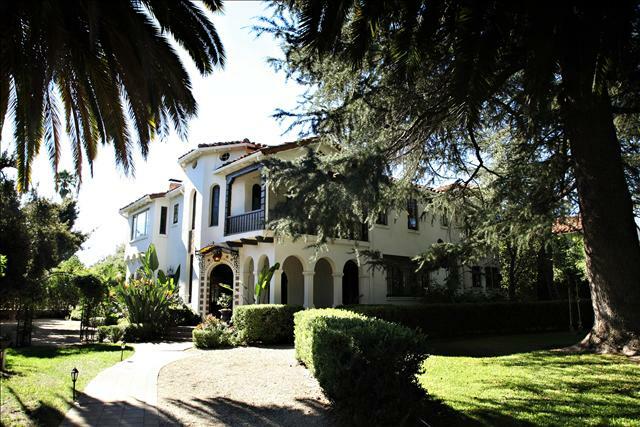 My family and I recently rented the acacia mansion for my wedding. We rented it for a week, and both the brides and grooms families stayed there. We arrived on a Saturday. The wedding was on the fol...read more. Beautiful grand Spanish Mansion built in 1929. 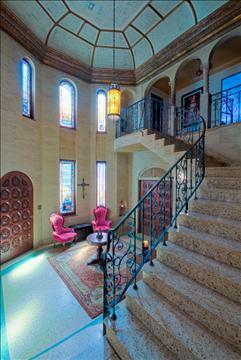 Stunning entryway with high ceilings, stained glass windows and marble floors. 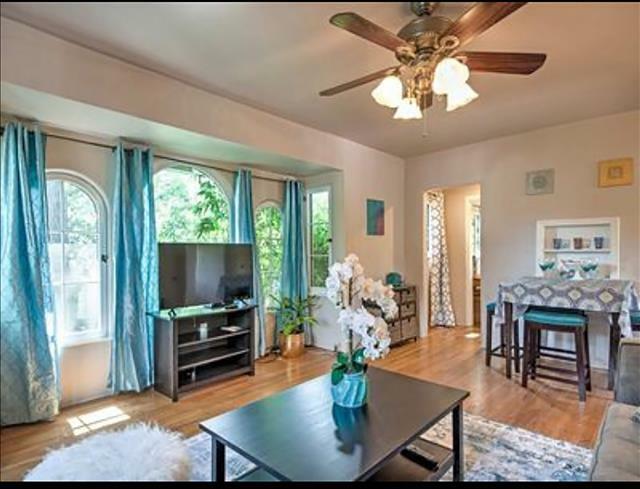 Large living room with player piano, fireplace and aviary with exotic parrots. Formal dining room seats 12 people. 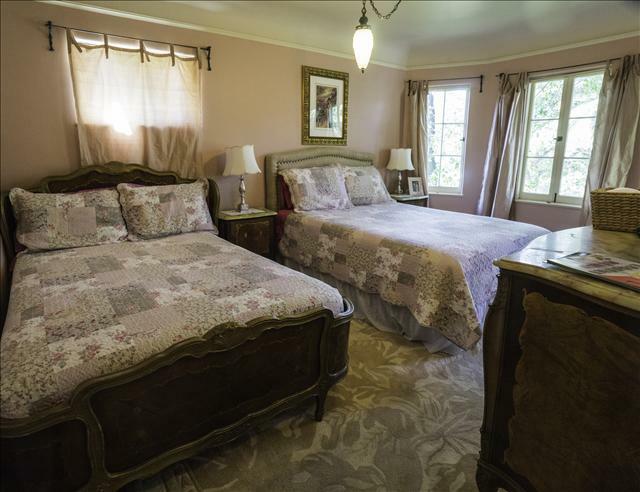 Office with large mahogany desk with wireless internet and fax/printer and a queen Murphy bed.Master bedroom with king size canopy bed, fireplace and large balcony with mountain views and private bath. 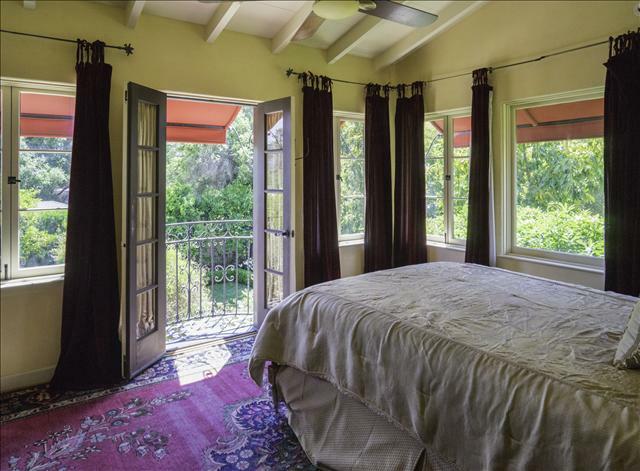 Another master bedroom with queen bed, private bath and large balcony. 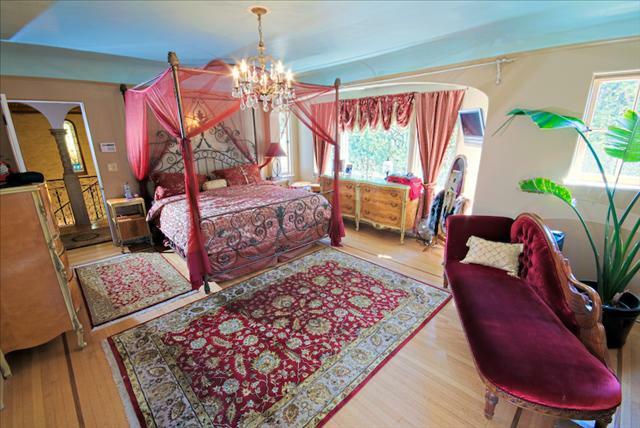 Three more bedrooms, one with a queen canopy bed, one with two beds, and one with one full size bed. Large walk in cedar lined closets in all of the rooms. Eat in kitchen and butler&apos;s pantry connected to the cozy den with satellite TV and DVD. 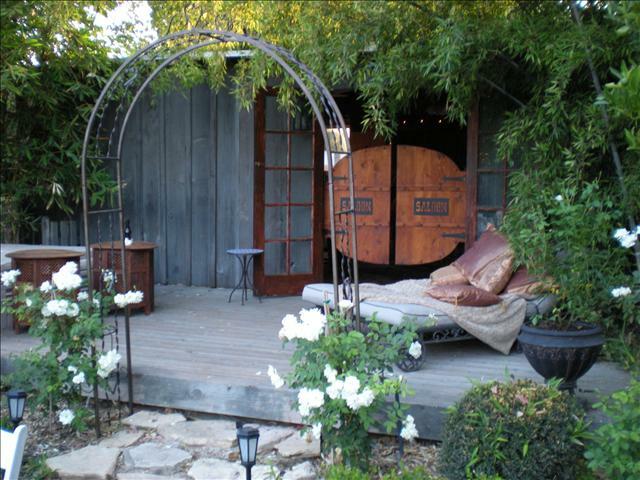 One acre of beautiful landscaped grounds including a six-person hot tub surrounded by bamboo. 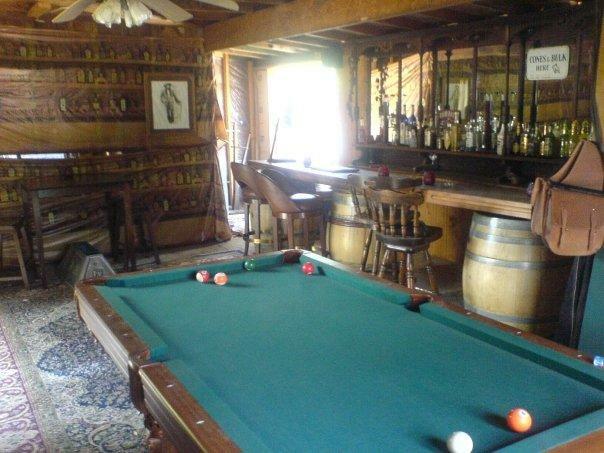 Large barn converted to a game room with darts, pool table and bar. Large orange and avocado orchard and horse corral with a family of alpacas and a dozen egg laying hens! Heated dipping pool with seating areas and a hammock. 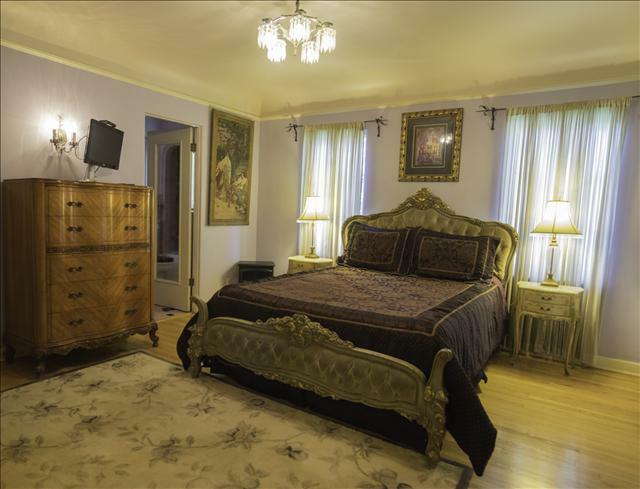 The Mansion has 8 beds, 1 rollaway and an additional pull out couch and can accommodate a maximum of 16 people. Additional fees for special events. There is a $250 cleaning fee and a deposit of $1500.00 due to reserve the Mansion and required at least 30 days prior to your arrival date. Rates and minimum stays are subject to change. $250 cleaning fee, 10% tax and $59 damage deposit insurance are additional.